When the South Side Rapid Transit, the first "L" line, opened in 1892, this was the line's terminal. In 1897, the Union Loop opened and all downtown-bound trains were rerouted there. The small, one track station was closed on October 18 of that year. In a rare example of planning for all contingencies, the dormant stub terminal was left in place in the off-chance that the Loop should ever reach operating capacity. That day was soon in coming. 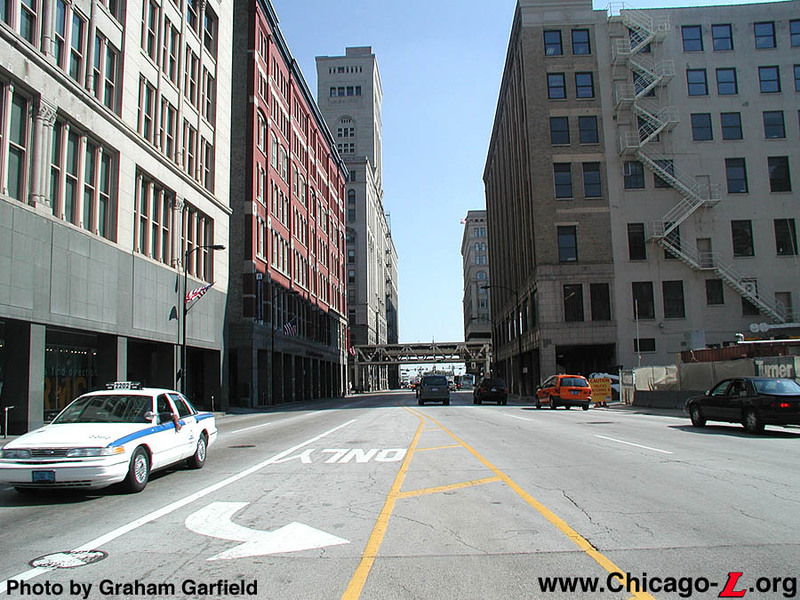 On March 10, 1902, the terminal station was reactivated to handle rush hour trains that could not be accommodated in the Loop. 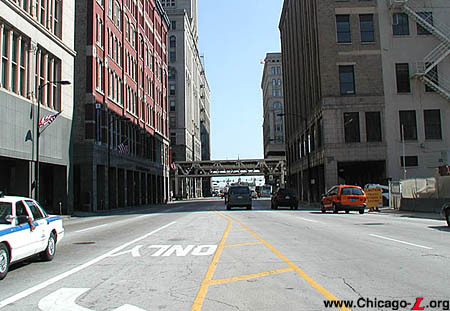 To distinguish it from the Congress/Wabash station that had been constructed on the Loop connection a half block away, the Congress terminal was renamed "Old Congress". Some scheduling information suggests that it was served only by Englewood trains. 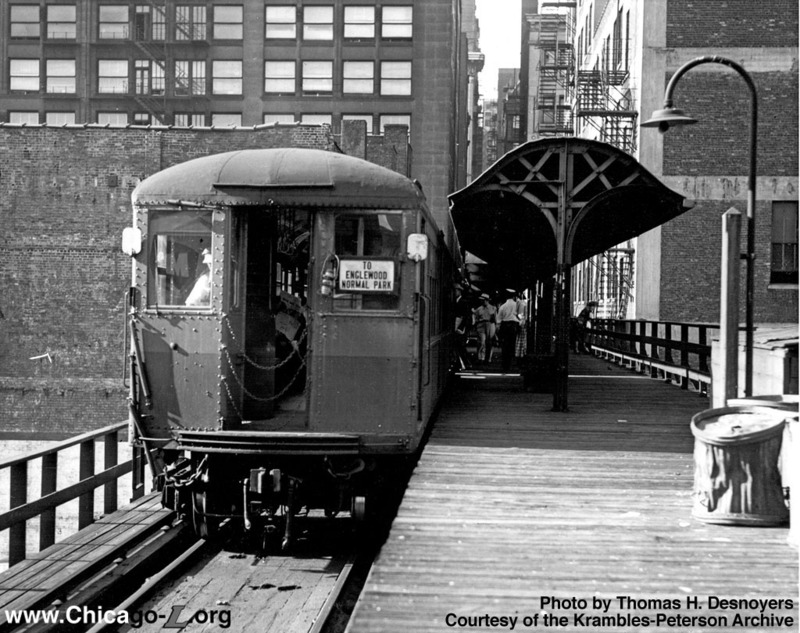 Morning rush hour service was discontinued in 1914, but evening service continued until 1949 when the north-south through service was rerouted to the State Street subway. 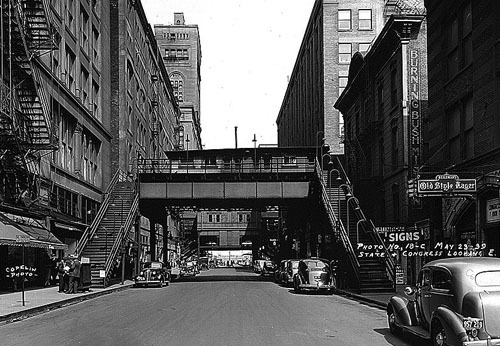 Although all "L" service to the Congress Terminal ceased on August 1, 1949, the facility continued in use as the Chicago North Shore & Milwaukee's baggage terminal to the end of their service in 1963. The North Shore's last public timetable of September 15, 1962 still shows 550 S. Holden (the street address of the Congress Terminal) as the location of their Chicago baggage room. The procedure was for a combine to be held open at Congress to receive baggage and merchandise dispatch shipments until about 15 minutes before a scheduled northbound departure from Roosevelt Road, then run half a mile south to Roosevelt to couple onto the coaches. Sometime in the 1950s, the City of Chicago built a parking structure literally around the Congress baggage terminal. That structure stood, with the North Shore Line baggage room and elevator more-or-less intact, until February 1998, when the city tore both structures down to build a surface parking lot on the same site. The tracks and much of the rest of the station facility, however, were demolished shortly after the CNS&M ceased service, circa 1963.